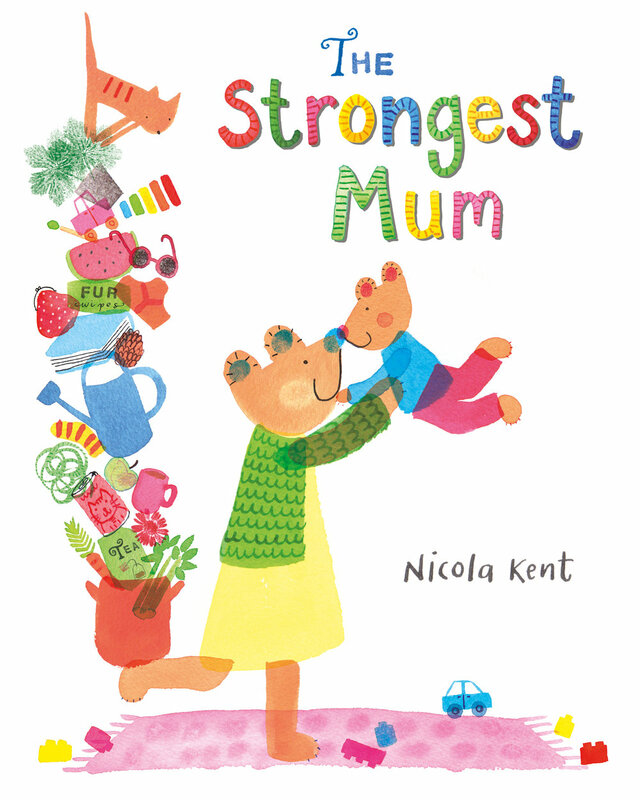 I am delighted that I can finally announce that my debut picture book as author and illustrator, The Strongest Mum, will be published by Macmillan Children's Books in February 2018, and in the United States by Albert Whitman in March. Little Bear's mum is super-strong and super-kind. She helps him, she helps her friends, she even helps strangers. She's amazing! But no one can be that strong without a break, and Little Bear discovers that sometimes even the very strongest mums need a helping hand. I remember going out one day when my children were very tiny. I had so much to do, to think about, to remember, to carry that it was only after I'd gathered the children, the bags and the buggy, and shut the front door, that I realised I hadn't put on any shoes! That was the autobiographical seed of this funny book about bears, which I'm glad to say mostly makes people laugh, but has also moved three mum friends and one dad friend to tears. which includes links of places you can buy it online, though it'll also be available from all good bookshops!